Which Brown Bear Was Named Alaska’s Fattest? 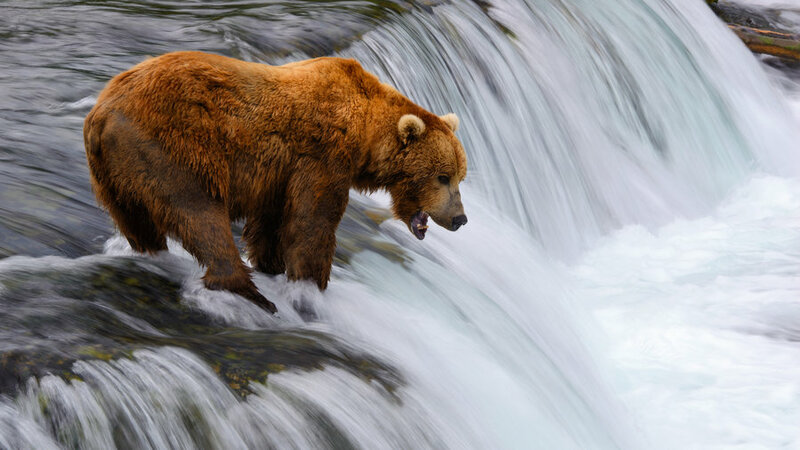 Katmai National Park and Preserve in King Salmon, Alaska is home to thousands of brown bears, and is among the best places in the world for watching them in their natural habitat, thanks to its salmon-rich waters at sites like Brooks Falls. In celebration of the feasting giants, the park kicked off its annual Fat Bear Week last Wednesday, at the height of the creatures’ pre-hibernation period, when they race to gorge themselves on fish in preparation for the winter’s deep (and starved) sleep. Using footage from the park’s famed Bear Cam, which catches brown bears live-in-action fishing and frolicking along the Brooks River, the public was encouraged to vote on the fattest-looking bear, in order to, according to the park’s site, “determine which gluttonous giant sits atop the brown bear oligarchy of obesity.” Arranged in a bracket (à la March Madness), bears were pitted head-to-head against one another, earning votes as they packed on the pounds. Fear not: body shaming isn’t the point of the competition, since the creatures rely on fat stores to survive their nearly six-month hibernation, when their body mass diminishes by up to a third. It’s more a celebration of the grueling three-ish months of nonstop eating the bears have to do in preparation, consuming a years’ worth of food in a physiological state called hyperphagia, which disables the chemicals that signal to their body when they’re full. The weeklong competition wrapped up yesterday, on Fat Bear Tuesday, when one extra-plump bear was crowned the winner. The reigning champ? A female bear, named 409 Beadnose, a mother bear whose “radiant rolls,” won out over those of the other top contender, a popular male named 747. Results were announced on the park’s Facebook page, and both bears will continue to be tracked on the Bear Cam during the impending final weeks before hibernation. For the chunky crown, it’s 409 vs 747! To win the title of Fattest Bear… which obese omnivore overtakes all others?